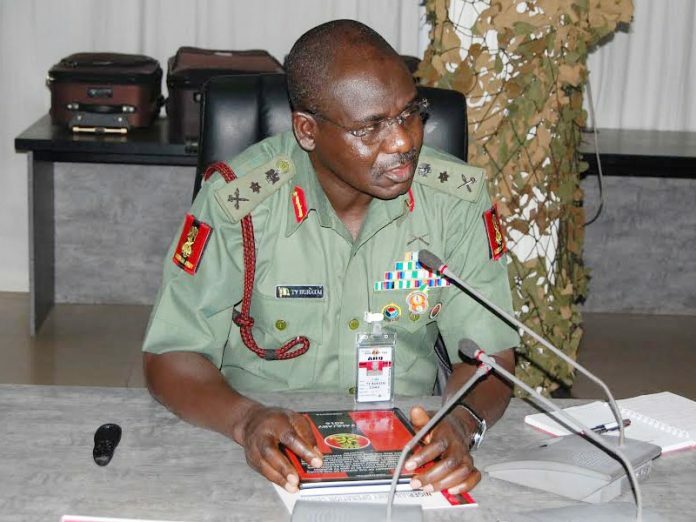 The Chief of Army Staff, Lt. General Tukur Buratai, yesterday announced that the military has fully liberated Baga, in Borno State and the surrounding towns from the grip of terrorists. Buratai, in a statement, hailed the troops fighting insurgents in the North-east for their gallantry in decimating scores of insurgents in the battle for Baga. The Army Chief praised the troops in Baga for what he described as “an unprecedented feat” that “gladdened” his heart. He said: “I am very delighted to receive the good news of your triumphant entry, clearing of the strategic town of Baga and neutralising the Boko Haram terrorists that tested our might some days back. Buratai commended commanders that secured victory for the military in Baga. “Consequently, I wish to commend the Theatre Commander, Operation Lafiya Dole, Major General BA Akinroluyo, Commander of the newly created and game changing Nigerian Army Special Forces Command, Major General MG Alli. “Commander Sector 3 Operation Lafiya Dole, Major General OT Akinjobi, Commander 707 Special Forces Brigade, Brigadier General DO Donibo Commander of Integrated Fire Support Centre, Brigadier General BR Sinjen, Chief of Staff, NASFC, Brigadier General MLD Saraso and Commander of NASFC Military Intelligence Brigade, Colonel AA Idris. “Commander, Integrated Logistic, Colonel C Ochimana, as well the Commander of the Armed Forces Special Forces, Commander (NN) GB Osuobeni, Commanding Officer of 123 Battalion, Major LA Balogun and the Commanding Officer of Army Headquarters Strike Group, Major MT Nasiru”, he said. The Army chief further commended “all the gallant officers and soldiers, ratings, airmen and the Civilian JTF that fought tirelessly and supported in liberating all those areas infested by the criminal Boko Haram terrorists”. The Army Chief added: “I would like to enjoin you to consolidate on these gains by continuous pursuit of these criminal terrorists and neutralise them to eternity. 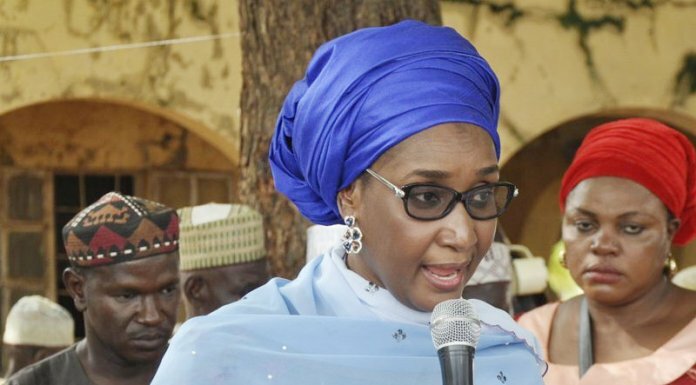 “You should be more proactive and continue with the clearance operations on any known Boko Haram terrorists hideouts in your respective areas of responsibilities. Buratai consequently approved special packages for the victorious troops. “I have directed for more replenishment and special welfare packages for you all which will be made known by your various Commanders. “I want you to invoke the spirit of courage and bravery that the Nigerian military is noted for, the world over. Victory is very near. Definitely, you are the ones that will make it nearer and sweeter. “I would like to express our sincere gratitude to President Muhammadu Buhari, President, Commander-in-Chief of the Armed Forces, Federal Republic of Nigeria for the continued support, political will and guidance which made our modest accomplishment possible. “While praying for the repose of the souls of our fallen heroes, I wish all those wounded in action speedy recovery. Once more, I am proud of you all, you should continue to be motivated, maintain the momentum and the fight against the criminal terrorists until you clear them out anywhere they are hibernating on our territory. “Well done our gallant troops; sustain the offensive and be assured of our total support”. The Army chief spoke as the Nigerian Air Force declared the Military Airfield, Makurdi, open to civilian flight The Chief of Air Staff, Air Chief Marshal Sadique Abubakar yesterday paid an operational visit to the 21 Quick Response Wing (21 QRW) Nigerian Air Force (NAF) Base Agatu, Benue State to assess facilities as well as the state of readiness of the troops of the Wing to deal with threats within the area. Meanwhile, before declaring the runway open to civil flight operations, the Chief of Air Staff was conducted on an inspection tour of the completed works by the Air Officer Commanding Tactical Air Command (AOC TAC), Air Vice Marshal (AVM) Oladayo Amao, who said that the scope of the rehabilitation work covered refreshing of the sealant for the concrete slab joints on the runway, taxiways and apron as well as the resurfacing of cracked portions of the maneuvering area, re-marking of the runway and erosion control, among others.